When you think of spirituality, you might call to mind a framework or set of rules that show you the way to inner peace, to end your suffering (and possibly even avoid death), is to be good. On the darker end of the spectrum, however, behavior is often driven by a fear of consequences (of not following the rules), an inability to question an absolute sovereign, a requirement for believing in myth, and possibly even a fear of pleasure. Interestingly, many of these rules also apply to how and what we eat. In addition to guidance on how to live a good life and how to treat one another, many religions have food-related laws and traditional practices. Catholics eschew meat on Fridays during Lent, for example, while Jews who keep Kosher never eat pork or shellfish or mix meat with dairy, and Muslims observe the holy month of Ramadan in part by fasting between sunrise and sunset. From the avoidance of specific foods on holy days to fasting, renouncing food is often part of how they identify themselves, demonstrate belief, and show their faith. In recent years, as the number of people who formally identify with a specific religion continues to drop, those who identify with a specific diet or way of eating has risen dramatically. And when we take a closer look at how people have traditionally practiced different religions and the current fervor around many diets – driven by belief, imbued with morality, and carrying a sense of identity and community – it is clear that there are many similarities. Even the language we use around food and eating smacks of religion: We try our best to avoid foods that are sinful or taboo, we experience guilt for giving into temptation, we are all ears when there’s talk of magical or miraculous weight-loss cures, and we create rituals of food procurement and preparation in our pursuit of dietary purity. Even the words good and bad, when applied to food, make a strong statement about our belief that we, ourselves, are good or bad depending on what we eat. 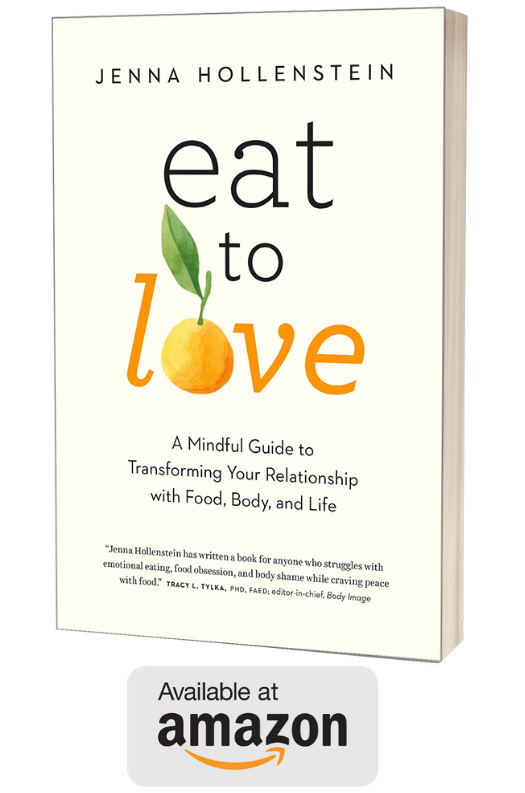 Eating is an inherently sacred activity: we take something from outside of our bodies and make it part of ourselves. The practice is both universal and very personal. 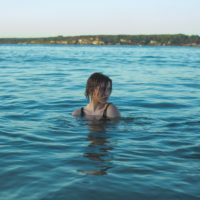 But more and more, our eating practices and the particular foods we embrace or avoid seem to have greater meaning for us: they represent how we view ourselves and our bodies on a larger scale, how we believe our choices will affect us now and in the future, and even what is inherently right and wrong. Renunciation in particular becomes a way in which we practice and express our chosen dietary affiliation. Whether foods containing fat, gluten, or sugar or components that were supposedly not present in the diets of our Paleolithic ancestors, renouncing the ingestion of certain nutrients confirms our commitment to an ideology, is considered “right action,” and is believed to enhance our chances of salvation. In the lineage of Buddhism that I practice, renunciation is less about a perfectionistic and ascetic “doing without” and more about letting go of whatever stands between us and the other beings in our world. Dieting takes up so much of our time, energy, money, and experiences, it can’t help but affect how much of those limited resources we direct outward, beyond the narrow borders of our own bodies. In today’s diet culture, many of us have become attached to a sense of safety, security, and predictability in the form of the idea that there is a right and a wrong way to eat, a right and a wrong way for our bodies to look and feel. But what is at the heart of these beliefs? 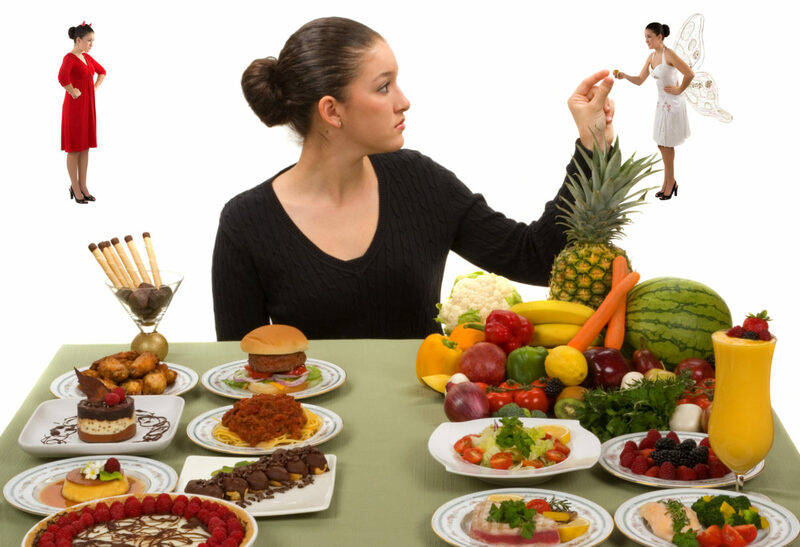 The diets have come and gone and come again, re-emerging with slight adjustments years later. The foods themselves have evolved in our understanding of their qualities and complexities and effects on our wellbeing: remember how eggs went from being evil harborers of cholesterol and saturated fat, to thrifty protein sources, to pristine and Paleo-approved? It couldn’t have to do, therefore, with the actual foods or diets but with the process of dieting, the avoidance or embracing of certain foods as an expression of our membership in a specific group, and a seemingly safe place on which to focus our energies. As a dietitian and also a former dieter, I now see how my own dietary renunciation was motivated not by a desire to take care of myself, but rather to avoid the suffering I experienced in relationships – in love, in friendships, in my family, and with my world. Dieting guaranteed my rightness when I felt nothing but wrongness and ensured my safety in an uncertain future. But the security was a false one and in fact a form of self-aggression. This post originally appeared on Susan Piver’s blog on February 2, 2017.